That last shot is a beautiful panorama. 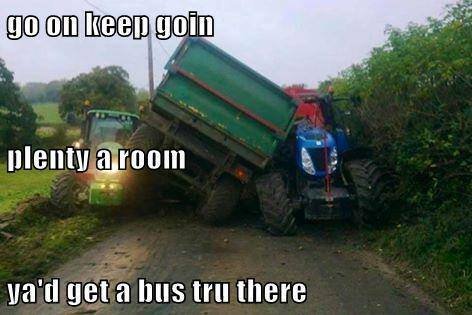 Lovely stuff, I miss my time in old country. Thank you Cian! Moved overseas? I was in Britain for graduate school. I went all over and thought the nature matched the history and culture. Clever lady. Cian is one of five bards listed as the best of Dark Age Britain, also mentioned was one Taliesin. 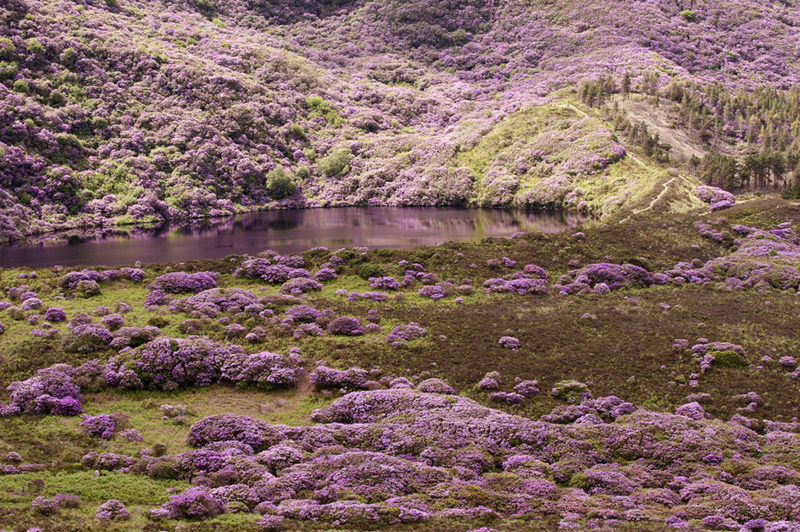 Inese–These pink hillsides are something! I am so entertained by your writing, and I love nature writing. “…the color of frothy foam on top of boiling raspberry jam.” What a line! Thank you Hattie! I loved that foam on my bread with a cup of milk when I was a child 🙂 It tasted better than jam itself. Inessa, these pink hillsides are really something. I am so entertained by your writing, and I love nature writing. “…the color of frothy foam on top of boiling raspberry jam.” What a line! Inessa, I am entertained by your writing, and I love nature writing. “…the color of frothy foam on top of boiling raspberry jam.” What a line! Superb pictures – thank you. 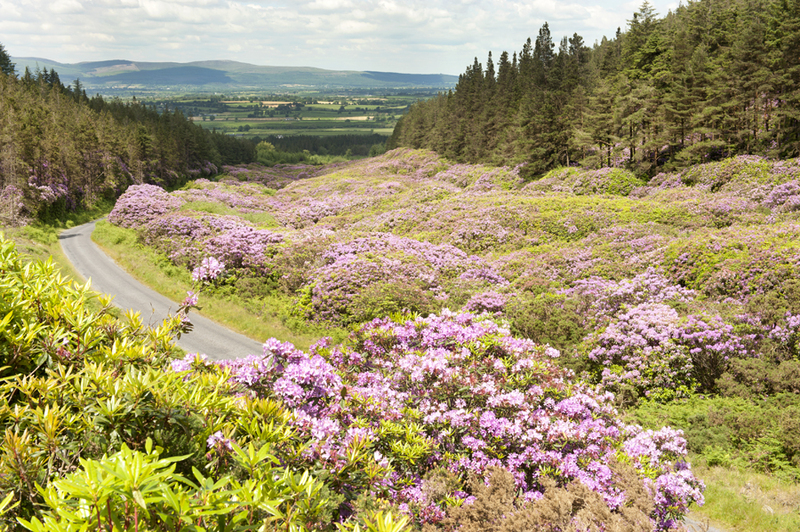 What a lovely area – I have been to the Knockmealdown mountains , and to Cork amongst other places in Ireland. Much stunning scenery! I like your panorama-without-tripod, well done! 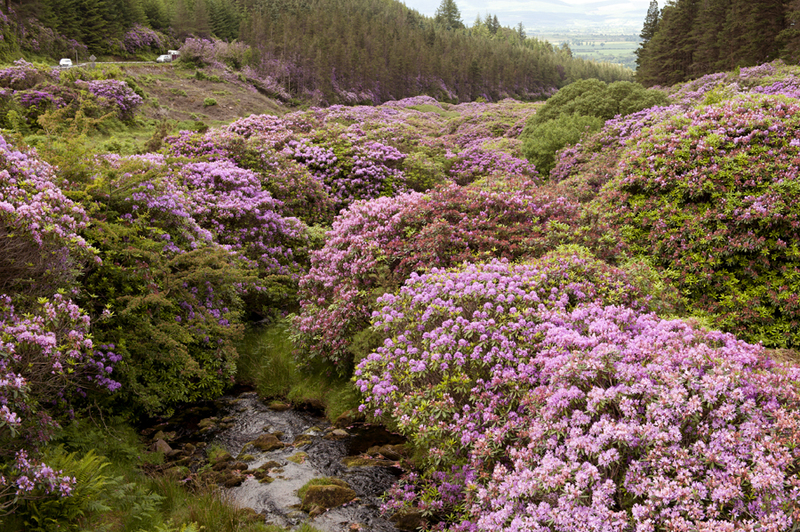 I’m always amazed how lush Ireland is. The top shot commenting on road width is bringing back memories of my first day driving there. 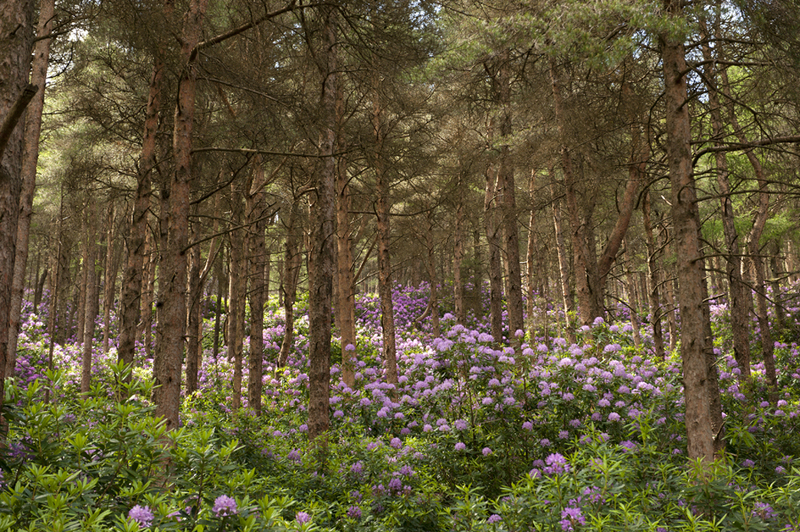 Wow, a never-ending garden wherever you look. Beautiful, simply stunning. The effect of the purple flowing down the hill is awesome!! Thank you! 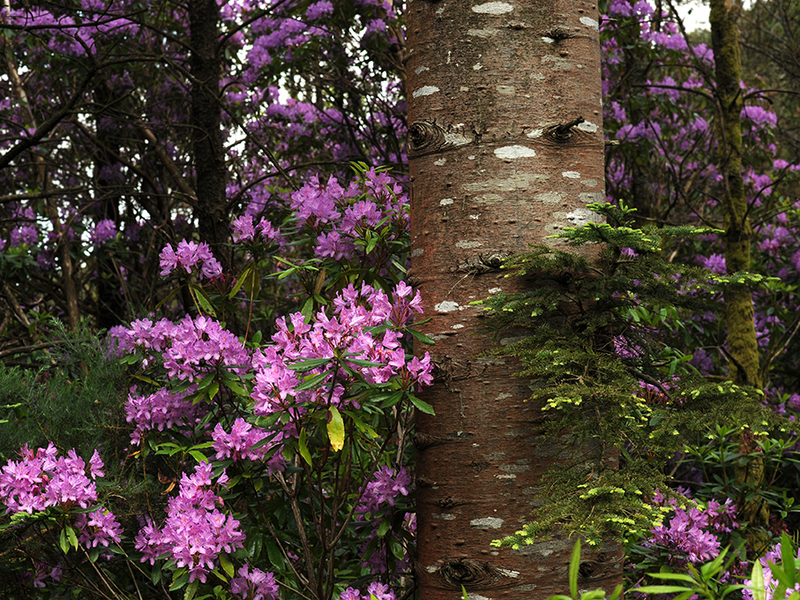 :) I was standing in awe, speechless… It was my first time, somehow I always missed the rhododendron bloom season. The lake down there has never looked so beautiful! Actually, it is a big lake, and all the area is huge. This was simply overwhelming. That was some colourful for sure and beautiful country side. Beautiful color in the photo. Thank you, Inese. I have been enjoying your photos. BTW, is that a fox in your arms in the photo? So much beauty in your photos here, Inese! Thank you Christy! No photography can express it. I packed my camera and stood there just watching. 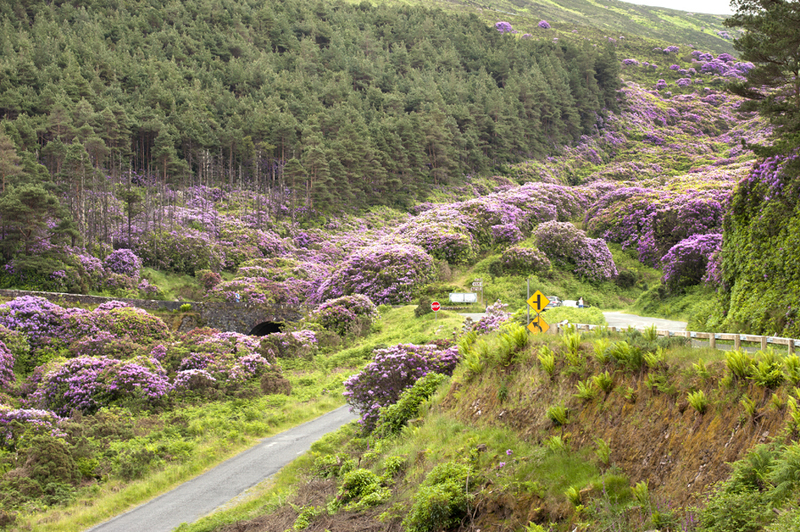 Wow what an amazing valley – it’s like an avalanche of blooms. Andrea, thank you for stopping by! I skipped a breath when I saw that lake down there. Such lovely photos. 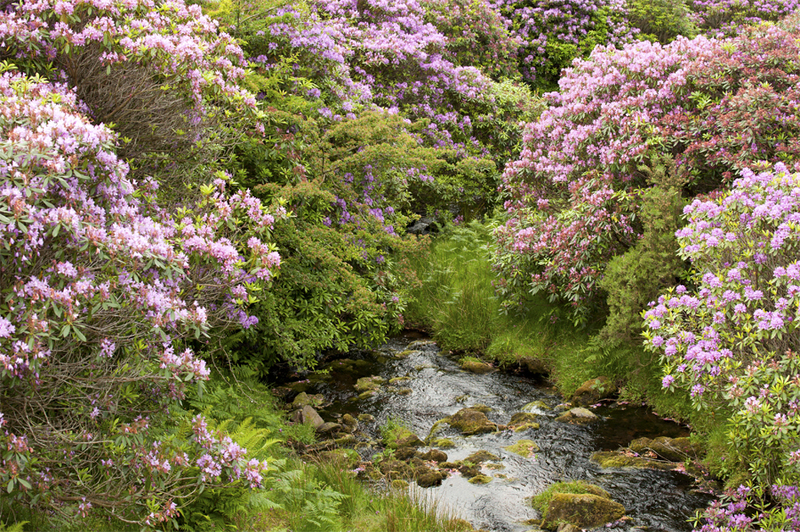 I’ve always been an admirer of Ireland’s landscapes and you’ve help reinforce that admiration. 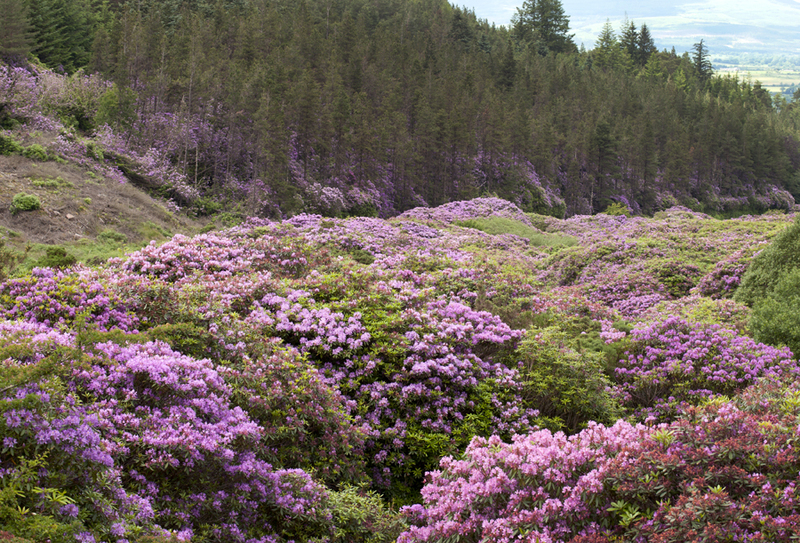 I have never seen so many rhododendrons in one place. Fantastic!! Vijay, it is a unique place indeed:). I just back from another trip, pictures Monday:). Have a great weekend! You live in a beautiful country. The open fields are like delicious gardens. The earthly imperfections are not absent, of course, but the narrow roads must be a part of the charm. Congratulations for your very interesting and well written blog.